Senior Airman Frankie Harper, a loadmaster assigned to the 79th Rescue Squadron, Davis-Monthan Air Force Base, Ariz., performs pre-flight checks on an HC-130J Combat King II prior to a Red Flag 16-3 night training mission July 13, 2016 at Nellis AFB, Nev. HC-130J crews normally fly night at low to medium altitude levels in contested or sensitive environments, both over land or overwater. Crews use night vision goggles for tactical flight profiles to avoid detection to accomplish covert infiltration/exfiltration and transload operations. NELLIS AIR FORCE BASE, Nev. – For a pararescue Airmen, there is one simple creed that they live by, ‘That others may live’. 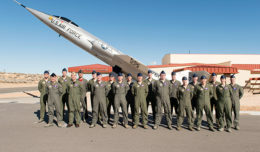 Whether those “others” are down range or are on American soil in a training environment, the 79th Rescue Squadron, from Davis-Monthan Air Force Base, Arizona came to Nellis to participate in Red Flag 16-3 so they can uphold that creed. 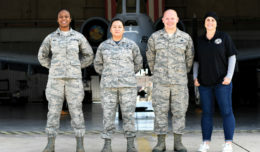 For three weeks, the Airmen of the 79th RQS will train and integrate with other units from around the world and military where they can apply the new found skills in a deployed environment. While working side-by-side with strikers and fighters, the 79th RQS will also integrate with members from the Survival, Evasion, Resistance and Escape career field. With rescue being the main mission for the 79th RQS while participating in Red Flag, Montgomery wants to educate the other air capabilities of the RQS limitations and capabilities. During the exercise, the HC-130J, assigned to the 79th RQS will be suppling aerial refueling to helicopters participating in Red Flag 16-3. With Snapp also deploying twice in his career so far, he considers Red Flag a great exercise that mirrors a deployment scenario where it will help Airmen. 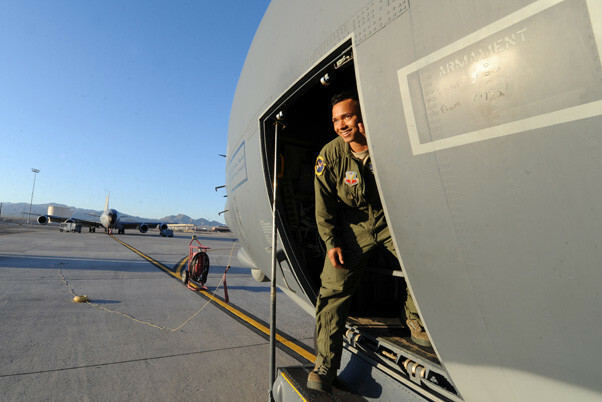 With the high tempo training, Montgomery sees this opportunity as the best training available for his Airmen to be participating in with a deployment on the horizon.